BUENOS AIRES, Argentina — Argentina's soccer association announced Saturday that the national women's league will be granted professional status, marking a milestone in a country that is home to Lionel Messi and some of the world's greatest players but still views soccer as largely a men's game. 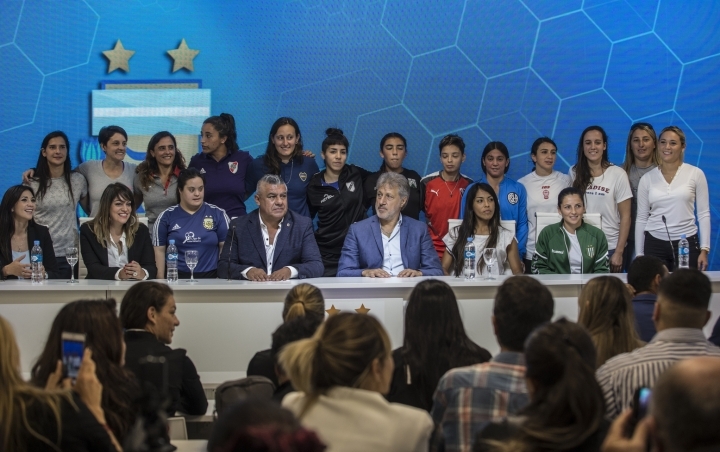 At a press conference on the outskirts of the capital of Buenos Aires, the association said that each of the 16 clubs of the women's top division must now have at least eight professional contracts with female players. The contracts must also mirror those of the professional men's league. 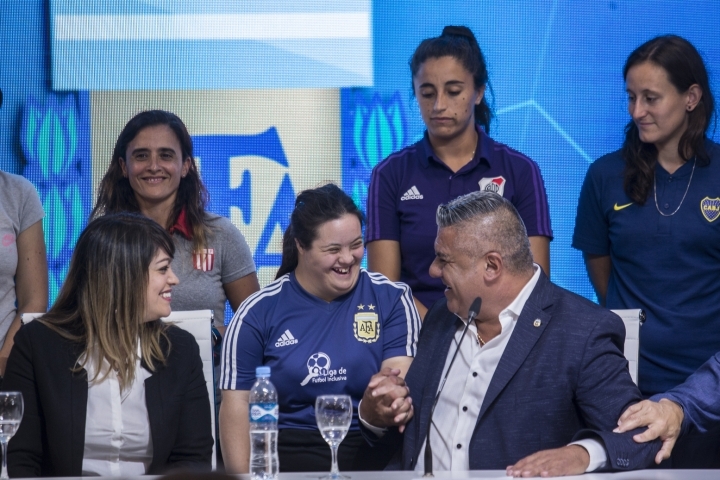 "When we assumed responsibility, we said we were going to oversee inclusive soccer that is gender equal, and we are demonstrating that," said AFA President Claudio Tapia. 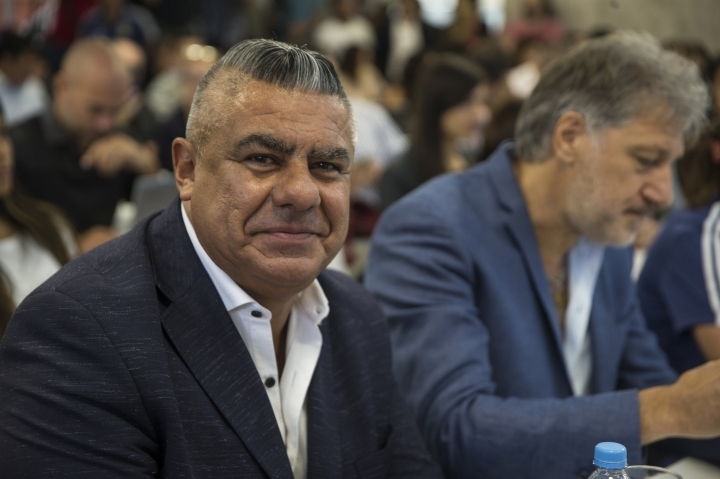 Tapia said that the association will contribute 120,000 pesos (about $3,000) per month to each club to finance the contracts. Up until now, the women's game has been played by amateur athletes who have gotten little to no money for their work on the field. The national team's female players have also struggled financially and went on strike in 2017 after their stipends of about $10 went unpaid. 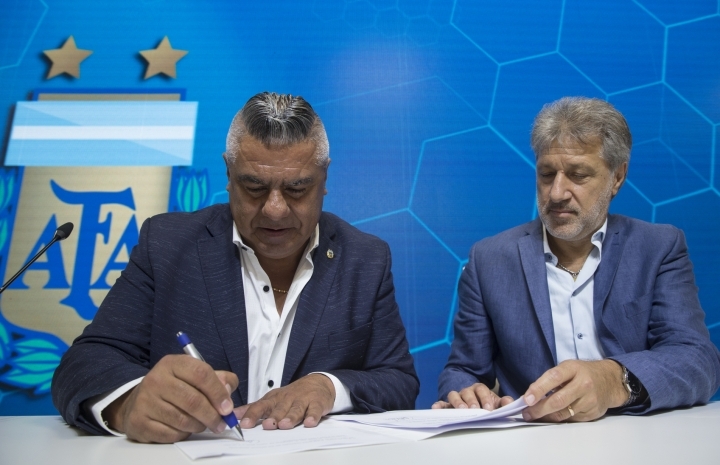 With Saturday's announcement, professional female players will now receive a monthly minimum salary of about 15,000 pesos, or $365, which is equivalent to that earned by male players in the fourth division of Argentine soccer. 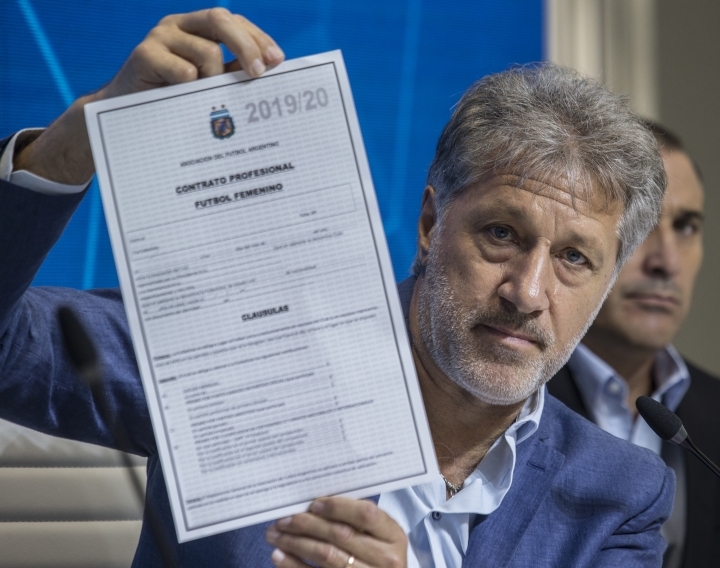 Sergio Marchi, leader of the soccer players' union, held up a copy of a contract and said, "With this we are generating a legal framework and a way to be able to advance professionally. This is the base, it is the beginning. It is in each of us to develop it." The professionalization of the sport gained momentum this year when soccer player Macarena Sanchez was dismissed by the UAI Urquiza team, which is the current league champion in Argentina. She then decided to launch a legal complaint seeking compensation and professional status. Female soccer players around the world have recently embarked on similar quests. Earlier this month, the U.S. women's national soccer team sued the U.S. Soccer Federation for "institutionalized gender discrimination" that includes unequal pay with their counterparts on the men's national team. 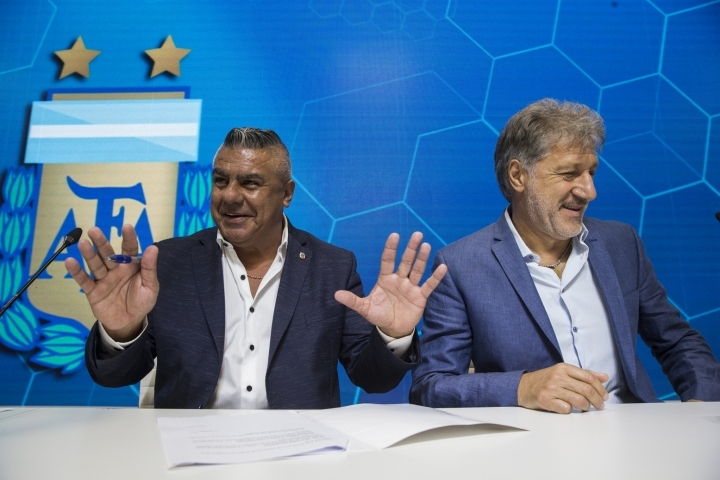 Tapia said that professional recognition in Argentina is just the tip of the iceberg, but some advances will largely depend on the commitment of clubs and their ability to generate sponsorships and television rights. Mariana Frambati, a forward for Banfield, called it a "historic day." "This will affect those who are younger, who can take this activity more seriously as a future, a job. So that generations to come can develop and play starting from when they are young," she said.